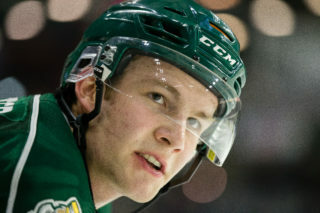 EVERETT, WA – A pair of third period goals got the Everett Silvertips back within one of the Kamloops Blazers before they ran out of time in a 3-2 loss Wednesday night at Comcast Arena. 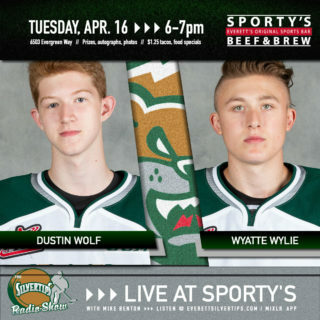 The defeat left the Silvertips winless in the last of four regular season meetings with the Blazers, who moved back within one point of Tri-City for the Western Conference lead. The ‘Tips will now try again to pass Seattle for eighth place in the conference when they host the Thunderbirds Friday at 7:35 pm. Reid Petryk and Josh Winquist scored goals for Everett, with the latter coming shorthanded to make it a one-goal game in the final minute. The ‘Tips held Kamloops to one goal on six powerplay opportunities while scoring once in three chances themselves. The Blazers led 3-0 after two periods of play. Both teams came out shooting early on, combining for 26 shots in the first period and forcing both goalies to get involved early. Kamloops opened the scoring more than halfway through the period when Matt Needham tapped in a pass from Brandon Herrod in front of Kent Simpson. The Blazers added to the lead in the final minutes of the period as Brendan Ranford scored low blocker on a breakaway to give the Blazers a 2-0 lead heading into the second frame. Despite another busy period in the second, Kamloops recorded the only goal on the powerplay. It only took 11 seconds for the Blazers to capitalize as Colin Smith sent a nice cross-ice feed to Brady Gaudet, who one-timed it past Simpson for his first of the year at 7:55. Everett outshot Kamloops 10-6 in the third and got on the board with a powerplay goal thanks to Reid Petryk’s rebound putback on a backhand shot less than five minutes into the stanza. Cole Cheveldave and the Blazers maintained the two-goal edge until the ‘Tips were shorthanded in the closing seconds however. 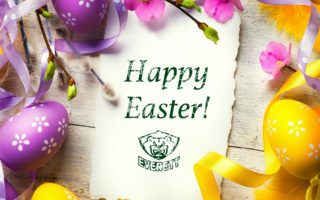 Josh Winquist knocked down a pass at the Everett blueline and raced in on a partial breakaway before beating Cheveldave through the five-hole to get the Silvertips back within one with 36 seconds left in regulation. Kent Simpson (15-29-1-5) stopped 29 shots in defeat for Everett, while Cheveldave (31-10-1-3) turned aside 28. The Silvertips were outshot 32-30 in the game, but reached 30 shots on goal for the first time in their last 11 outings. Next up for the ‘Tips is a pivotal Friday-night matchup with the rival Seattle Thunderbirds Friday night at 7:35 pm at Comcast Arena; a game that will also be carried live regionally on ROOT Sports Television. Everett will then host the division-leading Tri-City Americans Saturday at 7:05 pm to close the week. 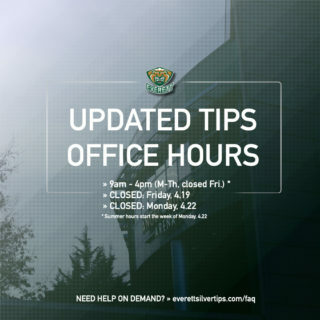 Silvertips group tickets and flex ticket packages can be purchased in person at the team office inside at Comcast Arena or by phone at 425-252-5100. 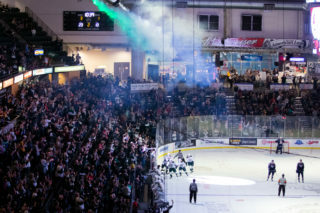 Single game tickets are on sale by phone (866-332-8499), online (www.comcastarenaeverett.com) or at the Comcast Arena box office.